With its latest redevelopment plan falling apart, the time has come to not worry about making the Jacksonville Landing a 'downtown game changer'. History has proven that we've over-complicated the redevelopment process. To simplify things, here's five 'no-frills' ideas that take advantage of the existing building's underutilized footprint. They may not be provocative, but downtown Jacksonville could benefit from a slumpbuster. Here’s five implementable ideas that can breathe life back into the Landing by taking advantage of altering how the existing structure is utilized. Feel free to add to the list by sharing your own! Old shopping mall food courts of the 1970s and 80s are a thing of the past. Judging from the amount of vacancies and food selection, the Landing’s food court is not an exception. 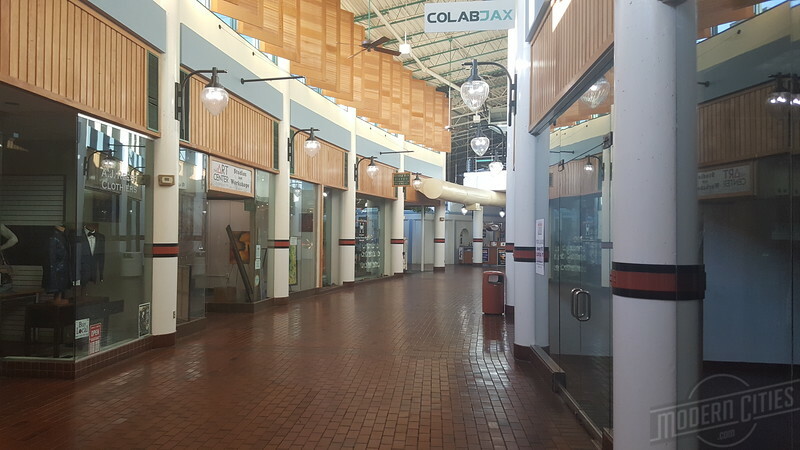 A walk through the Landing’s empty halls indicate its days as a festival marketplace and specialty retail center are over as well. Food halls have become popular again because people have grown tired of traditional shopping malls and supermarkets. While their popularity has continued to decline, there’s been a resurgence of food artisans and non-chain operators. Similar to Jacksonville Landing, Omaha’s Westroads Mall is an enclosed mall that’s been around for a few decades. However, unlike the Landing, Westroads has been renovated several times to keep pace with changing trends and demographics. 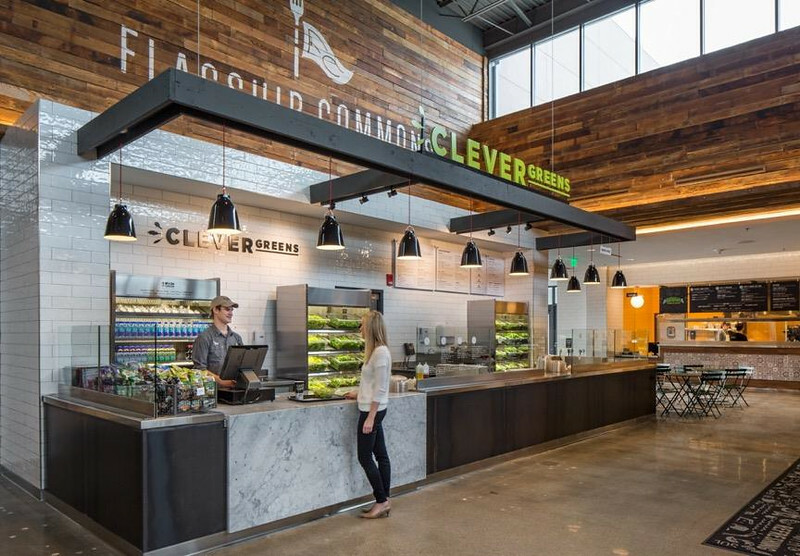 Its most recent addition is the conversion of existing retail space into a 21,000-square-foot food hall called Flagship Commons. 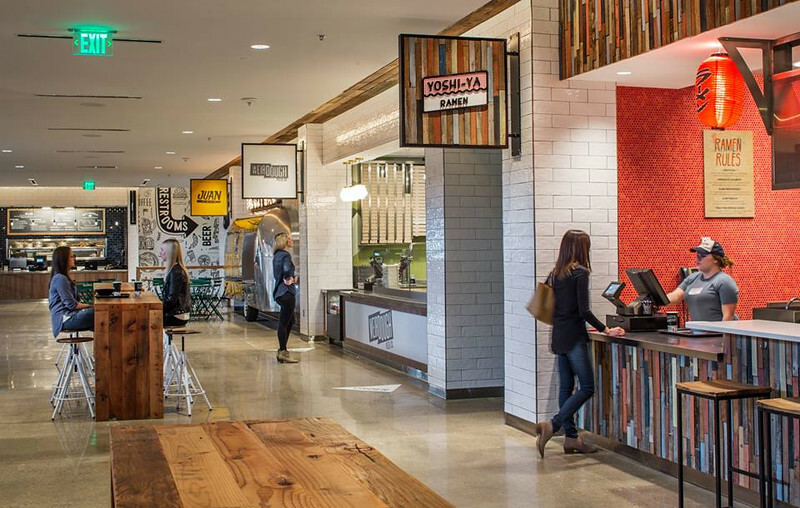 Flagship Commons features a full-service bar, a coffeehouse, and several local eating options. Looking at the Landing, its retail delimma could possibly be solved by embracing the food hall concept. Let’s use the west mall for an example. Here, empty space could be combined and the addition of a storefront entrance to the underutilized green space at Water and Hogan Streets would better integrate the Landing with the rest of downtown.